This company has been a pillar in the vaping industry for a very long time now. A large part of their success has been based on their innovative technology, unique products, and options you just can’t find anywhere else. They have award winning products, high-quality eJuices, and customer ratings that prove they are a brand you can trust. 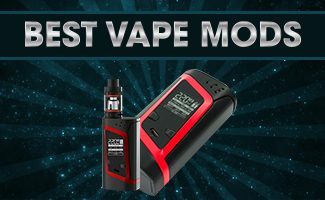 This mig vapor review covers some of their most exciting products from compact e-cigarettes like their Mig 21 vape pen to user-friendly mods like the Morpheus to their excellent Matrix dry herb vaporizer. Since their start, this Vape Store has been focused on improving the vaping experience with powerful batteries, quality built products, and of course creating massive, flavorful clouds. Listed below are some of their most popular products. The Mig 21 is arguably one of the best mini cigarettes on the market. Their taste and vapor production far exceed other cig-a-likes such as Green Smoke and even V2 Cigs. While most mini e-cigarettes are basically unusable because of their poor vapor production, the Mig 21 breaks that mold. They put a lot of time and technology into creating a superior e-cig. It has won several awards, and it is easy to see why. You get decent clouds of vapor with every flavorful draw. It also has a refillable tank that lets you use your favorite flavors and save money compared to buying pre-filled cartridges. It’s the perfect e-cigarette for anyone looking to make the switch from traditional tobacco cigarettes because of its size, ease of use and ability to deliver satisfying drags. The kit comes with everything you need to get started including a 30 ML bottle of e-liquid. You can get the Signature Edition for just a little more, and it comes with a custom, cherry wood storage box. The Morpheus mod is my favorite device from Mig. You don’t normally find this much power in such a compact, streamlined design. You can tell plenty of thought was put into the technology and design. Sleek and lightweight, Morpheus produces huge, flavorful clouds without requiring you to tinker with settings. This mod works with 0.2 ohm or 0.4 ohm coils, and it adjusts automatically to the coil you’re using so you get just the right output. You’ll also appreciate the ease of the built-in airflow control in the stainless steel mouthpiece, which allows you to finely tune the ease of draw as you vape. The Morpheus battery is super powerful, lasting more than 24 hours in many cases. 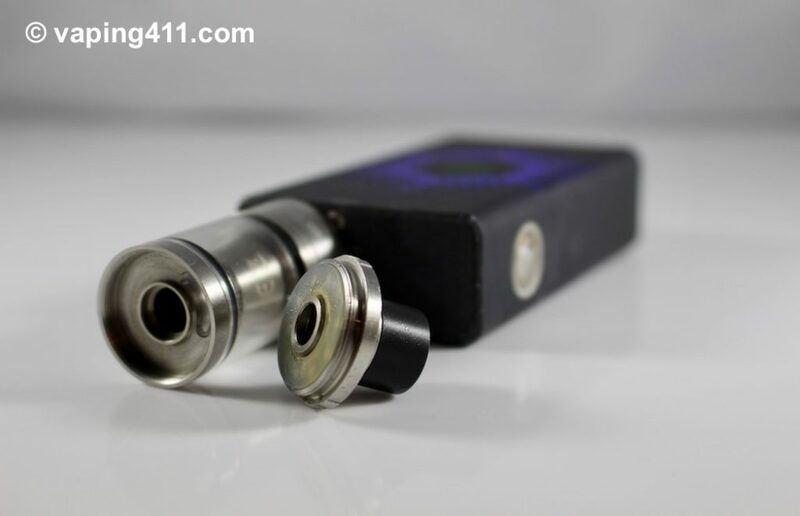 The kit comes complete (base, tank, and mouthpiece) with a micro-USB charger and one of each size coil. The Neo sub-ohm mod kit is a real eye-catcher. It has a slick design with a futuristic geometric pattern that comes in black and either green or purple. The unique soft squeeze outside feels as good in your hand as it looks. You’ll be happy to find the Neo isn’t all looks either. The super powerful battery and large vape tank make sure you will get plenty of billowing vapor clouds out of every session. The quality construction was built to last. It has built-in convenience too, with a tank you can fill from the top or the bottom and the ability to work with either 0.2 ohm or 0.4 ohm coils. The kit comes in a gift box with a USB charger, tank, coils, and tanks seals. The Minion Vape pen was the newest device introduced during the writing this review. The Minion Vape pen’s simplistic design is perfect for the person that wants to achieve the optimal vape without fumbling with a lot of confusing buttons. This vape comes highly recommended by users and it is designed to be your grab-and-go vape. It features a slick, stainless steel design, so the Minion looks great and feels solid in your hand. Like all Mig products, it is superb in construction. It is light, slender, stealthy and easily transportable. There is a single button on the battery with a light that informs you of the strength of your battery. The Minion uses a powerful 3,ooo mAh battery with plenty of power for an entry level sub-ohm device. It is designed to last for hours or perhaps days, depending on your frequency of use. The Minion vape mod hits perfectly with solid cloud production and is ideal for anyone looking for a simple, perfect vaping experience without having to go through a steep learning curve. The Minion is perfect for anyone new to the world of sub-ohm vaping. Simply add a coil, fill it up, turn it on and you’re ready to go. How easy is that? Just recently, we reviewed the new vape pen called The Bug. The Bug is an easy to use and affordable sub ohm mini vape pen that is perfect for first time Vapers, Vapers new to sub-ohm, or for those who need a simple, small, and stealthy pen. No Mig Vapor review would be complete without discussing the famous Matrix. The Matrix vaporizer might just be the best portable dry herb vaporizer on the market. Although it has a compact design that makes it easy to carry, it packs a lot of power – giving you decent clouds of vapor and great taste quality. This pen is easy to use making it the perfect choice for newbies, but it has plenty of features more experienced users will appreciate. It has a full range of temperature settings with degree by degree adjustability and a digital OLED display. The battery life is good too, lasting through about an hour of use. You can get the Matrix in black, white, or red and it comes with the chamber that makes it compatible with concentrates and oils. The kit comes with everything you need including wall and USB charging, extra meshes and mouthpieces, all the tools you need, and a great carrying case to keep everything together. 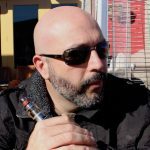 What is a Mig Vapor review without discussing their eLiquid line? 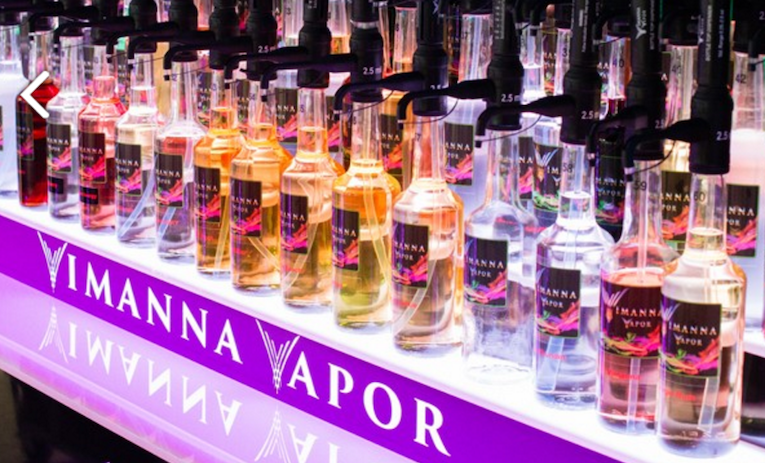 Let me start by saying they have some great tasting eJuice, but I want to concentrate on their Juice Bar called Vimanna. One of the unique experiences you get is the opportunity to create your own affordable, custom flavor at their Vimanna Vapor bar. Everyone’s tastes are different, so they put you in control, letting you customize your own perfect blend of up to five flavors. 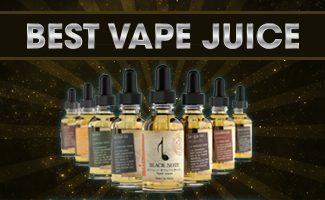 Choose from a selection of over 75 of their high-quality, great tasting e-juices. Vimanna flavors are designed by some of the best vape chefs, and they give you an excellent taste, dense clouds, and won’t evaporate like cheap brands. You’ll love having your own personalize blend, and if they love it too, they’ll let you name it. You can use their simple three step process in store or online. Just pick your flavors, choose your nicotine and VG level, and select your bottle size. Try simple but flavorful combinations like hot apple pie mixed with vanilla ice cream or black cherry berry with cola. If you’re feeling more inventive, try combining even more flavors for something creative like Blueberry Cheesecake Pie with mom’s custard, blueberry, graham cracker crust, and liquid cheesecake. Add your optimal level of nicotine with ranges from zero to 24 MG/ML. Finally, choose your bottle size with options from 15-120 ML. Here are some of the great perks for vaping customers. 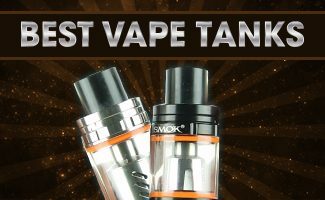 This innovative company consistently introduces new and exciting tanks and devices, so I will attempt to keep this review updated. If you’re looking for a reliable vaping device from a company that backs their products, then check out their site. 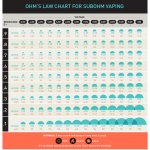 Mig Vapor has been a leading brand in the vaping industry for many years now. Their devices, tanks and e Juices are quality products which everyone should check out.